For many homeowners, nothing quite beats the dramatic look of plantation shutters in Charlotte, NC. Made popular in the South, and used in large plantation homes, the look still carries over well today. The oversized louvers is what sets the look apart from traditional shutters. What many people forget to take into consideration, when choosing their window treatments, is that this is something that impacts the look of both the inside and outside of your home. Your window coverings effect the interior design aesthetics as well as the exterior curb appeal. So it is essential that you partner with a reputable Charlotte shutter company, in order to get the results that you desire. By working with the team of window covering pros here at Sweet Shutters and Shades, you will receive the expert treatment that you deserve. With over 20 years of industry-related experience backing company founder, Diane Sweet, you can feel good about the level of care you will receive. We look forward to meeting with you for your complimentary consultation, so we can review the numerous exciting options that you have. The look of plantation shutters is unique, but what are some other advantages you can expect from opting for this window treatment choice? The quality, custom plantation shutters we offer at Sweet Shutters and Shades will help enhance your energy efficiency. This saves you money on your monthly utility bills and makes your home more environmentally responsible. This level of quality window treatment, once professionally installed, will increase the value of your home. So think of them as a wise investment, as opposed to just a financial expense. If you want to make a good first impression and enhance your curb appeal, this type of shutter certainly gets the job done. The key to success, with this type of home improvement project, is to partner with the right industry experts. Make it a point to understand that not all window treatment companies are created equal. We have built our solid reputation upon our ability to provide excellence in service and products, to every client we work with. Give us a call today to get started with a free in-home consultation. 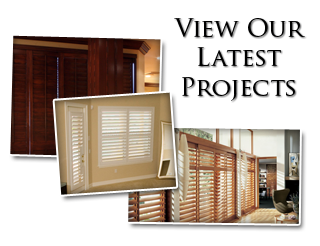 We also offer free measuring and installation of plantation shutters in Charlotte, NC and the surrounding areas. At Sweet Shutters and Shades, we bring the samples to you. What better way to determine how the choices you make will look in your home, then by seeing them in your windows? We take great pride in being able to offer our customers the best service, products and results possible. If you are ready to add plantation shutters to your home, let us show you firsthand how we have earned the reputation that we have as a local shutter company in the Charlotte area. 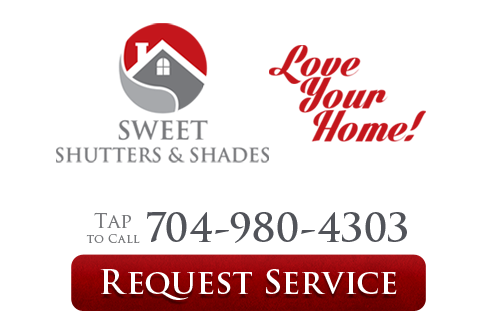 If you would like an estimate for custom plantation shutters in Charlotte, NC or the surrounding areas, please call Sweet Shutters and Shades at 704-980-4303 or complete our online request form.